The Castello di Lombardia is one of the largest and most ancient edifices in southern Italy, with an area of some 25,000 sqm. The castle's origins are related to a fortress erected in the 1st millennium BC by the Sicani on a hill at 970 m over the sea level. It remained a key possession in the subsequent history of the island, and the Romans were able to conquer it only by passing through its sewer network. After the fall of the Western Roman Empire, it was used by the Byzantines and resisted Arab assaults for many years. 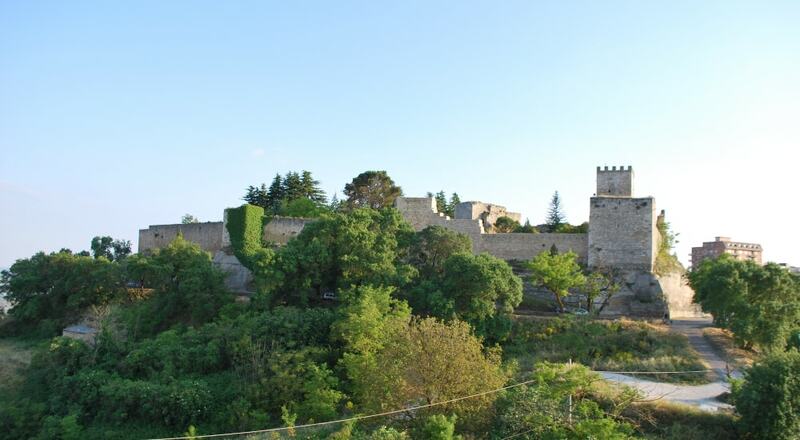 After their victory, the latter refounded the fortress around the 10th century; the castle was also used by their successors in Sicily, the Normans. With the advent of the artillery, the castle lost its primary strategic role and was turned into a prison.